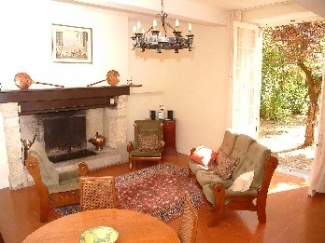 Les Rosiers offers spacious accommodation for four people in the southeast wing of the historic listed Manoir of the Domaine de Peyloubere. The building is a beautiful 17th century Gascon manor house set in 35 acres of woodland, lakes, gardens and tall trees. 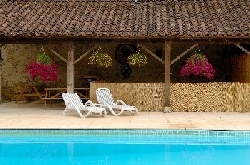 Les Rosiers is one of 5 cottages on the estate; all have been refurbished and equipped to incorporate modern comforts while maintaining their original period timbered character. 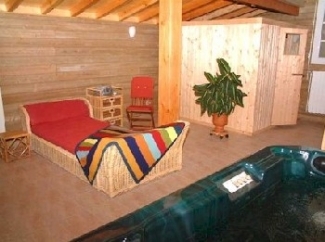 Each has its own private garden and they share the large 12 x 6m heated swimming pool and health spa. The pool is naturally chlorinated and secured by a fence and self-closing gates. The Spa includes a sauna, balneotherapy spa and sunbathing terrace. 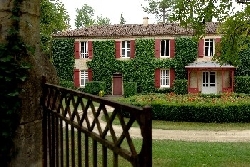 Les Rosiers enjoys a separate access to the Domaine and overlooks its own shady garden on one side and the circular rose garden on the other, for which it is named. The focal point of the large living room is a magnificent beamed fireplace. Tall French windows lead into the garden making the room wonderfully cool and fresh in the heat of the day. The double bedroom has a superb hand painted wooden ceiling and 150cm bed and the second bedroom has large bunk beds. The cottage has its own garden furniture and barbeque and there are sun loungers, tables and chairs around the pool and in the Spa garden. Cots and high chairs are available free of charge. 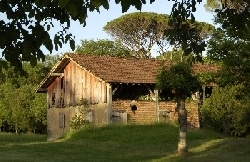 For further information, see our own website at http://www.peyloubere.com. 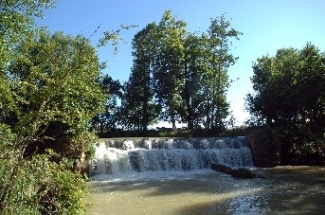 Peyloubere is situated in the heart of Gascony in South West France. The 35-acre estate lies just outside the village of Pavie which is 10 minutes south of Auch, the historic and vibrant capital of the Gers. The busy town offers everything expected of a regional capital - two weekly markets, a wide variety of caf�s and restaurants and modern and traditional shopping. The area has numerous historic and other attractions and there are many local music and village festivals. The nearest airport of Toulouse Blagnac is 55 minutes from Auch while Carcassone, Pau and Bordeaux are a two hour drive. 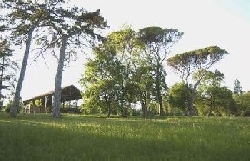 Our own website includes comprehensive details of the cottages, the estate and what to do and see in the surrounding area. In the high season we charge a premium for single week stays. 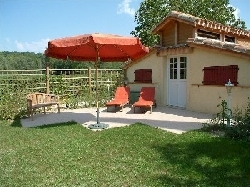 The weekly rate for such stays in 2012 is Euros 1,350. During July and August we only accept bookings from Saturday to Saturday. At other times of the year we are happy to be more flexible subject to availability.